It’s taken me five months to test Over Goals Tips: but I don’t mind as it’s a very appealing product. But the profits – well, they’re pretty low too. Because, as you’ll see below, Over Goals Tips has made money. So how much profit is enough for you…? Overall we’re looking at a net profit of 8.3 points. Still, there are a number of very positive things to emphasize. Firstly, and unusually for a straight betting trial, there have been no heart attacks. Not one. Because our lowest net position was a balance of just -4.2 points. Meaning that Over Goals hasn’t been a pain to live with. In its very simplest form, you can get the list of teams to back for just £12 + VAT. Though if you want to have the selections picked for you, it’s going to cost you more. Thirdly and fourthly – well, I’ve already mentioned the high strike rate and minimal effort requirement. These again both make life much easier. You are not going to have to deal with long losing runs nor spend hours in front of your computer. In short, this is betting at its quickest and least alarming. And that really ought to count for something. If you’d like to peruse the complete results log, you can do so here. 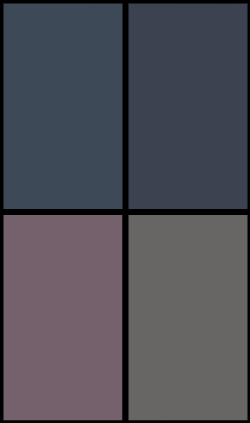 Deciding on Pass or Fail marks for product trials is usually pretty straightforward. Most of the time, the result tends to scream at you from the results log. However, that’s not the case with Over Goals Tips. Nobody is going to go crazy about 8 points’ profit in five months. But you know, there is a lot to be said for a service that, even on its bad days, doesn’t scare you to death. This is a wonderfully cautious system that could just make you some nice undemonstrative profits: precisely as it has done for me. You just need to be patient with it.. 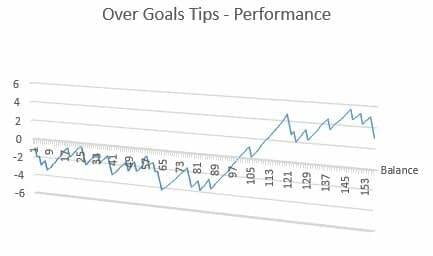 So Over Goals Tips makes sense to me as part of a portfolio. And for that reason, I’m going to award it a Pass. I don’t expect anyone who gets a copy of the manual to retire young as a result. But it might just put a little smile on your face if you stick at it. Find out more about Over Goals Tips here. How much profit is ‘enough’ for a system to considered worthwhile? I find I’m asking myself this question a lot as I grind through my ultra-low-risk Over Goals Tips trial. I’ve tested a lot of volatile products here at Lay Back, and learned slowly to live with the emotions that come with triumph and disaster. However, there is an opposite, less talked-out-about problem with low-risk alternatives such as this one. 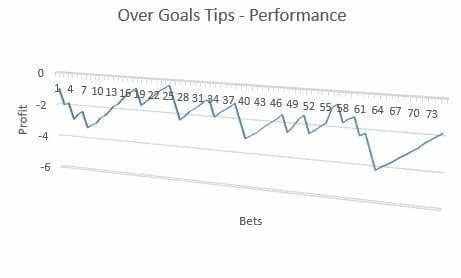 Specifically, is Over Goals Tips perhaps just a bit too dull….? First of all, we do, just about, remain in profit, as you can see. And yes, that ROI is extremely modest. But then the strike rate is reassuringly high and volatility is minimal. The running balance has never exceeded +5.64 points. Nor have we ever fallen below -4.2. The problem is that the prices on offer are so short and the market extremely efficient. Hence months like this one where nothing much happened!.. You can download the results log for the whole trial right here. In an odd sort of way, it’s nice to be able to run an uneventful trial. Betting has the reputation for being extremely risky. However, Over Goals Tips is anything but. Of course, it’s not a huge amount of fun either. But maybe that shouldn’t come into it. After all, we’re about profit here at Lay Back, not that dreaded bookie construct, recreational betting. I will draw final conclusions in my next – and last – report when I get to 200 bets, which will be in 44 bets’ time. 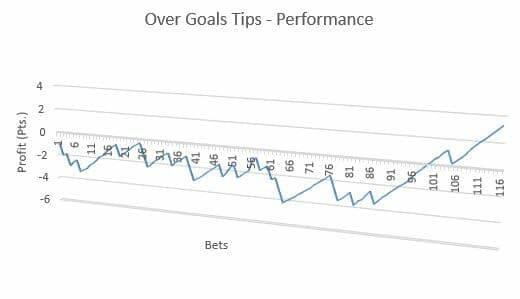 But in the meantime, if you like the sound of ultra-low risk goals betting, you can still get hold of the Over Goals manual for just £12 here. Patience is one of the least popular virtues. And when it comes to betting, I suspect we all struggle with it. Hence the appeal of high strike rate systems, as they massively reduce the risk of depressingly long, losing runs. Over Goals Tips attracted me for precisely this reason. In theory, it holds out the promise of good profits and limited drawdowns. 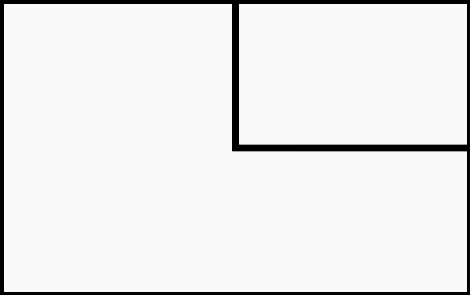 The only trouble is, up until now the first part of that equation – the profits – have been conspicuously absent. Still, we entered month #3 just 2 points in arrears… so could Over Goals finally haul itself into the black? We added five points which, at these very short prices, is remarkable. …and the results log for the period reveals that our last 29 bets yielded 28 winners. You can download the complete results log for the trial here. In addition to an excellent monthly performance, the tipster demonstrated commendable customer service skills when he wrote on Friday to say that he’d rather not issue unpredictable selections from this weekend’s batch of friendlies. Instead, he explained that he will “add a free week to all of your subscriber balances as compensation”. If only all services were run in such a spirit. I said last time that my enthusiasm for this trial was flagging. Well, it’s now been reignited by a fine month’s performance. Let’s hope we continue in the same vein. I’ll be back in late April with my next report. 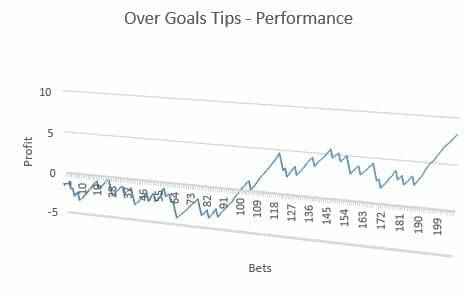 In the meantime, you can find out more about Over Goals Tips here. Call it a bias if you like, but I have a soft spot for inexpensive systems from independent service providers. Over Goals Tips is a case in point. It is available for £12 a month or just £47 a year, which is unquestionably cheap. The more important question however is: does it represent good value? I had an indifferent first month with the product, finishing 1.71 points in the red. On the plus side, the high strike rate, at 77%, ensured I didn’t have to endure long losing runs. But if I’m not making any money, what’s the point!? Inevitably, I was hoping month #2 would be better…. so, was it? Frustratingly, no. We just traded sideways again. To be precise, I lost 0.13 points over the period, to leave the bank a couple of points down after two months. As the performance graph shows, we never quite seem to break into profit. The big problem is that the service is struggling to find value. Because it concentrates on short-priced selections, Over Goals Tips needs to achieve a heroic strike rate just to maintain parity. I still have 125 bets remaining before I reach my 200 bet target. But I am struggling to maintain my enthusiasm. It seems unlikely to me that, backing at these prices, there is ever going to be a worthwhile upturn in our fortunes that merits the effort involved in placing all these bets! However, if there is one thing that trialling has taught me, it’s persistence. Maybe a long winning run lies around the next corner? I’ll be back in late March with my next report. Meanwhile, you can read more about Over Goals Tips here. One of the hardest betting lessons is learning how to lose. And indeed how to win. I still struggle with the emotion created by the ups and downs: feeling elated during the good times and disconsolate in the bad. Neither emotion is particularly helpful in the long run. And it doesn’t seem to help that I do know it’s only really the long view that matters. Over-reacting just seems to be part of being human. In view of which, I believe there may be value for beginners in starting out with high strike rate systems. Because, other things being equal, higher strike rates tend to translate into lower volatility. Which means shorter losing runs, smaller profits – but probably smaller losses too. In short, high strike rates generally mean less drama all round: so you’re more likely to stick at it for the long term. All of which brings me, somewhat circuitously. to my first monthly progress report on the charmingly uneventful Over Goals Tips! The first month has produced little in the way of fireworks. It’s all quite a relief! Maybe I’ve just been trialling too long. But I find the once-a-week email containing the upcoming weekend’s tips almost reassuringly pedestrian! We are 1.7 points down after 35 selections so the trial certainly isn’t setting the world alight yet. However, we have an awful long way to go – another 165 bets, to be precise – and I have a feeling that this will be a very easy service to live with. A quick bit of mental arithmetic tells me we need to get our strike rate up to around 83% if we’re to lock in regular profits. We’re at 77% so we’ve not too far to go. I’m looking forward to the rest of the trial and will be back with more towards the end of February. I have to admit to a slight prejudice in favour of the ‘little guy’ tipster. You know who I mean… the person who runs up a website of their own and starts promoting their betting service without anyone else’s help. The tipster market, in particular, is dominated by a few big ‘warehouse’ sites, such as Betting Gods, Betfan and the Pro Betting Club. But recently we’ve uncovered — and started trialling — new offerings from one-man bands. And today I’ve got another one for you. An appealingly straightforward offering called…. Over Goals Tips! This product is provided by one Ben Jones, a self-confessed football nut who publishes a guide to betting in the Goals markets. The PDF is intended to be usable as a standalone product. If it works, it looks very fair value at just £12 + VAT. However for an additional fee (currently £47 a year plus VAT), Ben will send you a whole year’s worth of selections – thus making the thing super-easy to follow. a list of 55 teams from around the world that, according to Ben, “should be backed on the over 1.5 Goals markets for consistent profits”. 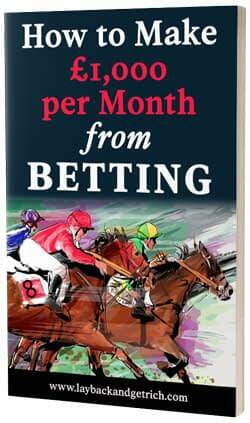 a staking plan that Ben personally uses which, he says, “ensures a consistent rise in profits”. To his credit, all revisions to the guide are issued to customers for free. And apparently Ben does update it frequently: for instance, the latest version was released in December 2015. So how are we going to test it? Well I really like the sound of this so I’m going to keep it for myself instead of asking one of my triallists to help! However, I don’t have the time to research 55 teams’ fixture lists so I will simply follow Ben’s tips. All selections are entered as back bets in the Over 1.5 Goals market, so we should at least get a good strike rate. I will use Betfair wherever I can, though will resort to bookmakers if there is inadequate liquidity. 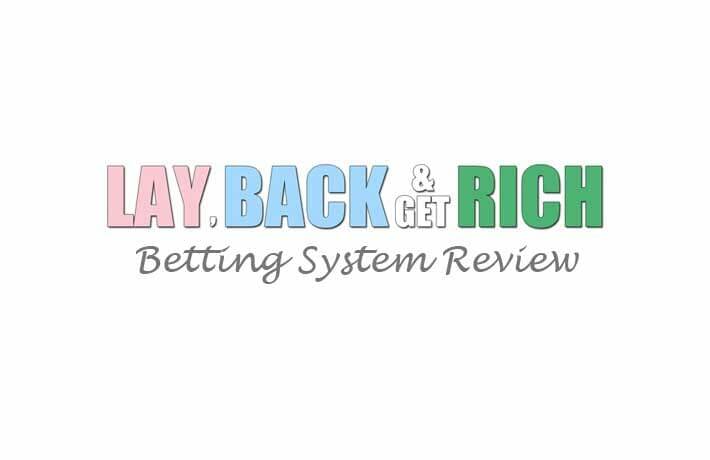 We will aim for 200 bets as usual and track performance at both level stakes and by using Ben’s staking plan.